2. 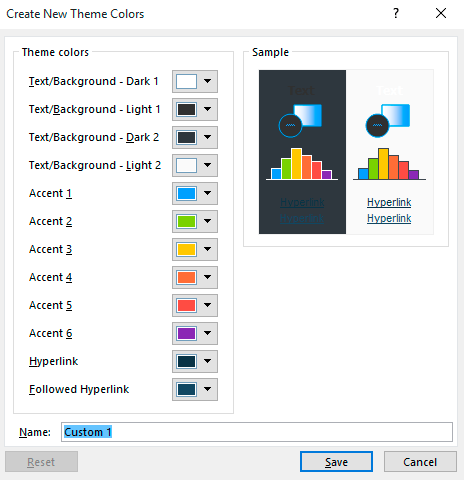 In the opened window “Create New Theme Colors” where you can specify the colors you need. 3. 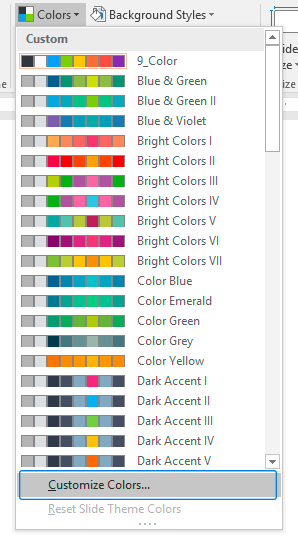 At the bottom of the window specify the name (“Name” field) of a new color scheme. 4. Click “Save”. Color scheme has been created. Information: Once you’ve created your own color scheme, it can be applied to other presentations. Information: Before you created your color scheme, choose one of the predesigned color schemes that is the most suitable for your needs and requires minimal changes. This will simplify your work.